I recently wrote an article titled “Can an Avocado a Day Help with Weight Loss?” It sparked a lot of interest and I have been asked if there were any other foods that may be more helpful in achieving the goal of weight loss over others. In fact there are, as not all calories are created equal and depending on what you are eating different foods will metabolize in the body in different ways which can ultimately have a huge effect on your hunger, hormones and the number of calories you actually burn. We were often told to stay away from eggs for many health reasons, not just weight loss as it was once feared for being high in cholesterol. However, new studies show that they do not adversely affect blood cholesterol or cause heart attacks. So now we have gotten the question of risk to our health out of the way they happen to be high on the list of best foods to eat if you want to lose weight. The mighty egg is high in protein, healthy fats and can make you feel full even though you are consuming a small amount of calories. Eating eggs for breakfast can make you feel fuller for longer and can also affect, in a positive way, the amount you eat for the following 36 hours. 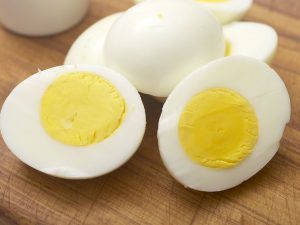 Eggs are also incredibly nutrient dense which is helpful when you are on a calorie restricted diet. Ensuring you are getting the biggest bang for your buck with regard to nutrition from the calories you are eating is definitely a bonus and interestingly enough, almost all the nutrients are found in the yolks. Leafy greens include kale, spinach, collards, Swiss chards. They are firstly very low in calories, low in carbohydrates and literally loaded with fiber, all huge benefits for a successful diet plan. They add bulk to your plate which, again is important when dieting, we eat with our eyes as well as our mouths and no-one wants to feel as if they are being “short-changed” when sitting down to enjoy a meal. Leafy greens are also highly nutritious and contain a plethora of vitamins, antioxidants and minerals, including calcium, which has been shown to aid fat burning. All fatty fish such as mackerel trout, sardines, herring and of course salmon is a must if you are eating a healthy balanced diet but they are also incredibly satisfying so keep you full for many hours and are relatively low in calories. Other benefits of salmon in particular are that it is high in protein, healthy fats and various important nutrients. It also contains a significant amount of iodine, a nutrient that is necessary for proper thyroid function. Keeping your thyroid functioning optimally means your metabolism will also be doing the same. Salmon is also loaded with omega-3 fatty acids which we know helps reduce inflammation. It is well documented that inflammation plays a major role in obesity and metabolic disease. If you’re not sure, cruciferous vegetables include broccoli, cauliflower, cabbage and Brussels sprouts. 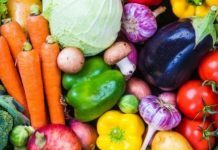 The great thing about all vegetables, not just the cruciferous variety, are that they are high in fiber and any food high in fiber will tend to make you feel fuller quicker and longer. Cruciferous vegetable, compared to other vegetables, contain a decent amount of protein. Put that combination of protein, fiber and low energy density together and you can then see why they should be high on your list when meal planning. Let’s also not forget that they are highly nutritious and contain cancer-fighting substances. Lean meat, not the processed variety, is a weight-loss-friendly food solely because it is incredibly high in protein.There is no doubt about it that protein is by far the most filling nutrient, and eating a high-protein diet can make you burn up to 80–100 more calories per day. In fact studies have shown that increasing your protein intake to 25–% of daily calories can cut cravings by 60%, reduce your desire for late-night snacking by half and cause weight loss of almost one pound (0.45 kg) per week. Cheryl Alker specializes in flexibility training, facial exercises and postural alignment. Her 30 year career started as a group fitness and personal trainer, she has lectured and directed fitness training programs in both Europe and the USA and was an advisor for a Governmental health promotion program. Alker and her company Stretch Results International continues to work with a select clientele from a base in Palm Beach County, Florida, certifying health professionals in her results based stretching program, educating consumers through public speaking and offering consultation to clients who wish to lose their muscular pain and gain flexibility to achieve full and active lifestyles. Alker has a proven totally natural program that alleviates back pain visit www.secretbackpaincure.com. For more information about professional continuing education and consultation options, e:books or DVD’s please call Cheryl on 561 889 3738. 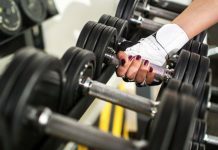 If you would like more articles like this please visit www.24sevenwellness.com.